Hello everyone! 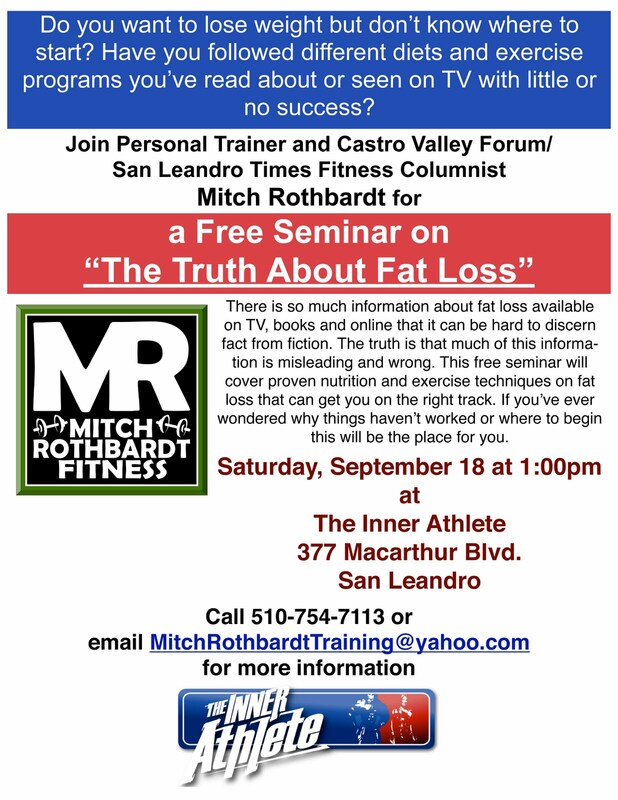 I just wanted to drop a quick note to remind everyone that my Free seminar, “The Truth About Fat Loss” is this Saturday! It’s at the Inner Athlete, 377 Macarthur in San Leandro at 1pm. I hope to see you all there!